The end of April and the start of May–exactly six months from Halloween–has always been a time for witches, magic and the influence of the Other World in pagan folklore. The Celtic festival of Beltane is traditionally observed on May 1st, and April 30th is also known as Walpurgis Night–or in Germanic folklore Hexennacht, literally "Witches' Night." 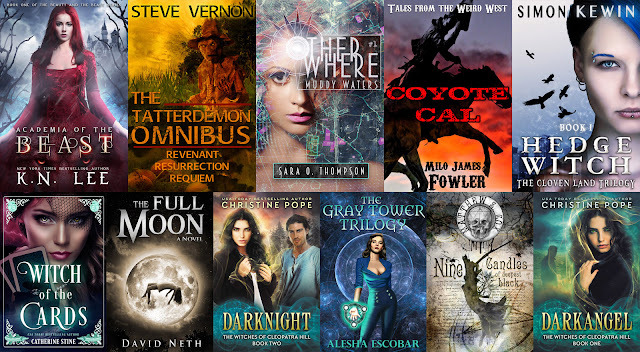 Thrillers, fantasy, romance, horror, mystery–there are books here to suit every taste. The bundle also includes a newsletter bonus book! If you're looking for this month's IWSG post, click here. I have turned off comments for this promotional post.